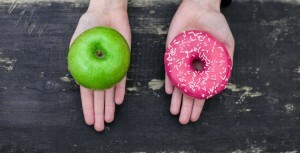 As we near the beginning of spring time, many of us have fallen off the wagon with our New Year’s resolutions. But have no fear, we have some awesome tips and tricks to help you get back on track and ready for warm weather and vacation season! No need to do anything drastic, just making a few simple changes and additions will make all the difference, and with a multitude of fresh fruits and vegetables in season, it will be easier than ever! The newest trend in healthy eating is here and it’s the perfect time to dive in. The Spiralizer cuts vegetables into long ribbons or strips that resemble noodles or spaghetti. This awesome tool can be purchased for just $15 and will completely open your eyes to substituting vegetables for pasta. Zucchini isn’t the only vegetable you can spiralize; butternut squash, potatoes and onions are also great options! 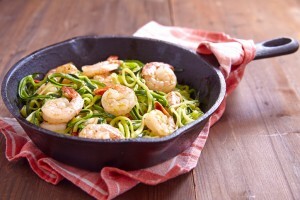 Here is an awesome recipe for Zucchini Shrimp Scampi that is easy, healthy and delicious. Not to mention it clocks in at just under 214 calories per serving! And with a taste like this, it is sure to make you forget about your spaghetti noodles. Melt the butter in a large pan over medium high heat. Add in shrimp, garlic, and red pepper flakes. Cook and stir occasionally for about 2-3 minutes. Stir in chicken stock and lemon juice. Season with salt and pepper to taste. Stir in the zucchini noodles and combine for 1-2 minutes. Serve and garnish with parmesan cheese and parsley. As the holiday season, has come to an end and warm weather is on its way, it’s time to get back to the new year’s resolutions that you ditched a few months ago. Detox water is one of the simplest changes you can make, that will have a huge impact on your overall health and well-being, and hey it might even help you drop a few pounds too! Detox water is a super popular tool for easy weight loss because it tastes delicious and helps to flush your body of toxins. 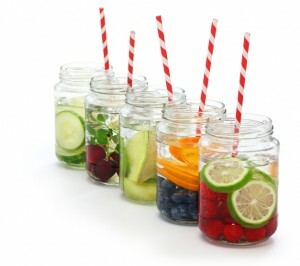 In general drinking water raises your metabolism but by adding fruit, your water will remove toxins from your body while depositing vitamins and nutrients into your body! 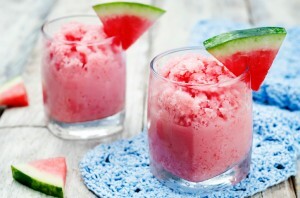 Best of all, you can sip on it throughout the day and it feels like a delicious hydrating treat! Instead of adding your fruit directly into your water bottle, you can purchase a fruit infused water bottle for between $10-20! It will make all the difference in keeping you on track! Here are just a few of our favorite detox water combinations but you can add any assortments of fruits or herbs that you enjoy. Breakfast is always a challenge in the morning. Most people either resort to a donut from the conference room at work, or completely skip it all together. Skipping breakfast is one of the worst things you can do to your body since that’s how your metabolism gets a jump start on the day. Without eating a healthy breakfast, you are setting yourself up for eating more calories throughout the day and subsequently gaining weight. 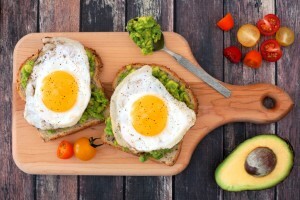 Below are some quick and easy, yet tasty options for breakfast! All you need is either egg whites that are pre-separated from the yolk in a cartoon, our you can buy regular eggs and separate them yourself. Either way, ditching the yolk will give you all the protein of an egg without the cholesterol from the yolk. Add in any seasonal veggies that you like such as tomatoes, spinach, avocados, or green onions! Pair your egg white creation with whole wheat toast for a complete breakfast that will keep you full and focused all day long. Avocado Toast has been trending in the food scene lately but to keep things interesting in the morning, you need to have options! Here are a few of our favorite combinations that will make your mornings exciting. 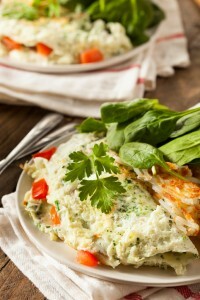 Add an egg or smoked salmon to kick it up a notch! Dessert is always a time when craving could ruin your healthy eating choices that you’ve been making throughout the day. With all the fresh fruit that will be coming in season the next few months, we would be foolish to not take advantage of it! Here are some easy and satisfying fresh fruit dessert recipes that will keep you on track as well as keeping your cravings at bay. Rake mixture with a fork and freeze for another hour (Repeat this step 2 more times) Then serve. 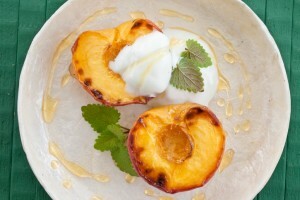 With peach season on its way, us Utahans are blessed with an abundance of some of the best peaches around!